Sometimes, refinancing your auto loan is the smartest thing to do. Most people think that they are stuck with their original car finance for the rest of their contract, but this is simply not the case. If you think your credit standing has improved since you got your car, for example, then it would be best for you to get an auto loan refinancing. Refinancing allows the borrower to save money by getting a better car loan. Luckily for borrowers, they do not need to wait for a minimum amount of time before applying for a new refinancing. In fact, they could do it even before doing their first monthly payment! 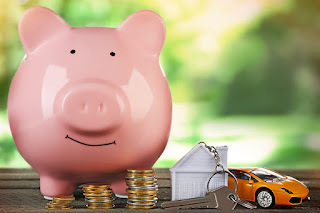 The process of auto loan refinancing is easy and extremely doable, however, it is still important to know when you should apply for refinancing and what steps you should take when you have finally decided to do it. The first thing that you must do before deciding on applying for car refinancing is take a peek at your credit report. See if you have made all of your repayments on time for over a year or more, and if so, then your credit has probably improved. You can always pull up a copy of your report online, and most websites offer it for free. If you are certain that your credit score has improved for the last year, then you can definitely apply for a car refinancing. Collect everything including your payment stubs, loan contract, driver’s license, your car’s identification number, pay stubs from your employer or your proof of employment, and your social security number. Your pay stubs must show the amount that you are currently paying per month, how much time you have got left to pay for your current car finance, your current interest rate, and the lender’s customer service number. These things are vital for refinancing, and your new lender will probably ask for most of these. Use an auto loan calculator to compute everything. There are lots of it online, all you need to do is find a credible one. If you want to make sure that you will get a lower interest rate by getting a new refinancing, then all you have to do is type in your current balance and the new interest rate that you are being offered. Put your loan term in (how many months you have got left to pay for your current financing), and you will see your new loan payment from the new lender. Decide if you really need to push through with refinancing. Think about how many months you have got left, and if you will be able to save money if you do get a new one. If you decide not to go through with it, you still have two more options left. You can either pay the rest of the loan off, or extend your payment time. Paying it all off means that you will be able to save a lot of money by paying a smaller interest, as it would not be as huge as it is supposed to be. However, if you need more time to pay your loan off and you need the money for other things, then you can always ask your lender if you can extend the loan payment. The bad thing with this though is that you would be paying a bigger total in interest, so you’d have to be wise when deciding. If finally you decide to go through with refinancing, then make sure to finish everything that you have started. Follow the lender’s instructions and fill up the papers. Listen to their requests, and make sure to negotiate wisely. Now that you have got the tips, it’s time to start looking for a new lender. Good luck!